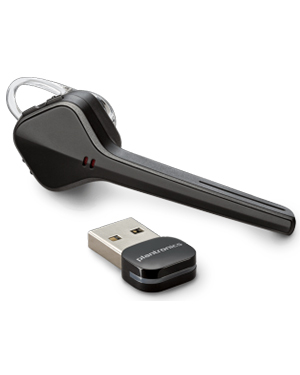 Plantronics Voyager Edge UC BT Headset is a Bluetooth communication device that can be connected to several devices, including PCs, mobile phones, and tablets. 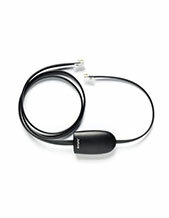 The device is integrated with smart sensor technology and voice command menu when connected to mobile phones. This means that users can automatically answer calls just by lifting and placing the headset to their ears. In addition to that, automatic call transfer between the headset and mobile phone is also possible. Software presence update is also automatically accomplished, which is proof of the seamless connection among these devices when connected to the headset. 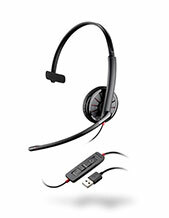 Plantronics Voyager Edge UC BT Headset has a lightweight design that is comfortable to be used and quickly fits the ears. The device is integrated with responsive features that allow users to be able to move but at the same time remain connected and have crystal clear conversations coupled with noise cancelling technology. It delivers intuitive call management and top-notch convenience through the elimination of accidental dialling by locking the call button when the headset is not worn by users. Do you want to find out more info on this product? Call Australia wide 1300 131 133 right now! Plantronics is currently headquartered in Santa, Cruz, where the company conducts its major operations, including all the basic decision-making activities that must be taken care of. For its production and manufacturing, it has branches and factories located in Mexico and China. For its marketing and supplying, the company has partners, distributors, original equipment manufacturers, service providers, and retailers in more than 80 countries worldwide, including Asia Pacific Region, Europe, and North America. This is how the company is able to cater efficiently to all types of customers in the global market, along with the help of around 5,000 employed experts worldwide. Since its establishment in the year 1961, Plantronics had one goal in mind, which is to assist customers in their efforts to improve their operations and productivity through the existence of clearer and simpler communication avenues in distraction-free environment. And for the company, it is by developing and producing high quality innovative audio and sound products and solutions. Headsetsonline Pty Ltd is an Australian enterprise that specialises in supplying and wholesaling wide variety of quality headsets and headphones to government agencies and corporate sectors all over the country. The company was a division under a popular enterprise that has been doing the same thing since the year 1998. 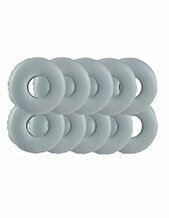 Headsetsonline operates in the market through its online store located in Headsetsonline.com.au. It is a secured and enterprise-encrypted site that uses the same security logins that banks use, including 256-bit identity authentication and 2048-bit root encryption. In addition to these security measures, the site also has GeoTrust True Business ID with Extended Validation and green URL address bar HTTPS, which will all help in protecting customers while they are doing their shopping and purchasing from the site. Headsetsonline takes pride in its delivery performance, ensuring that the company is able to reach customers all over the country. In addition, it also offers standard flat shipping fees on all orders and wherever the customers are in the country.